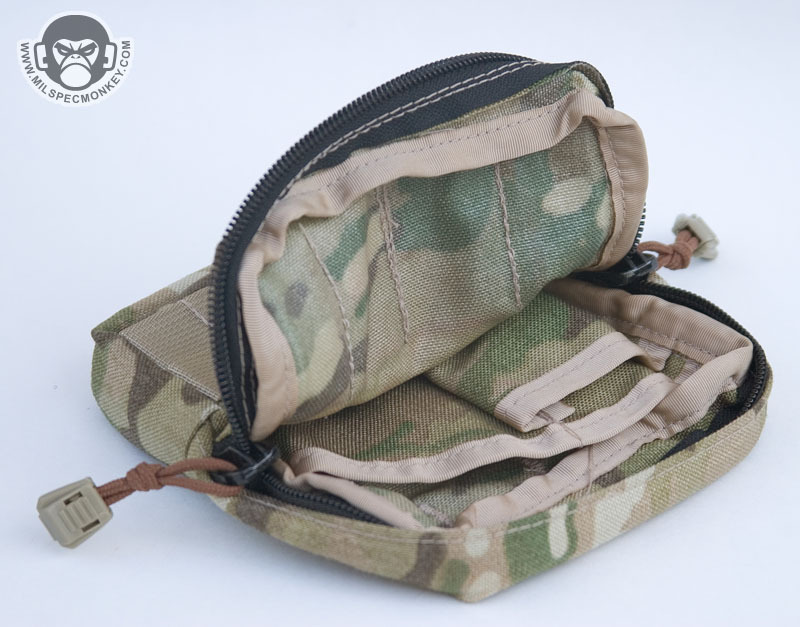 Notes: Unique slim pouch for your smaller items. 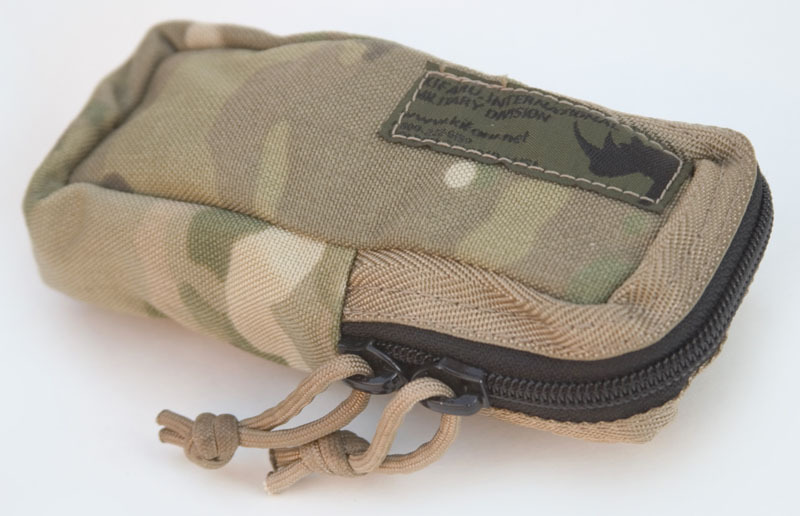 Front smaller pouch has some elastic, but isn't quite tall enough for pens. 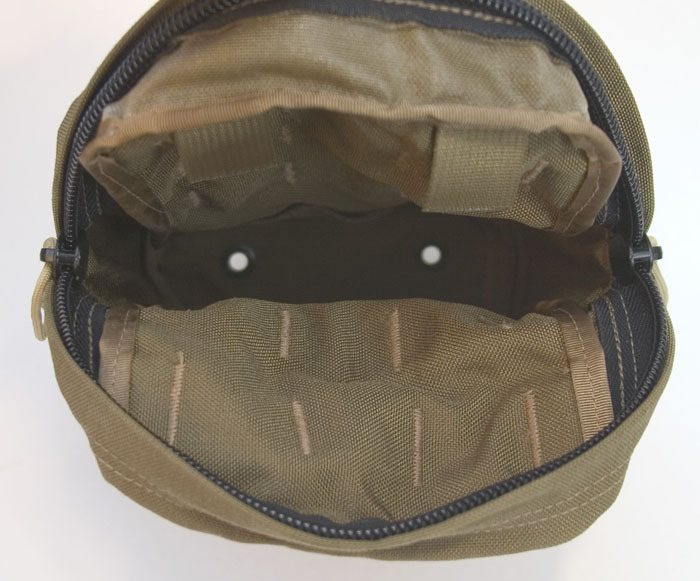 Example items I've rammed in there: handcuffs, calculator, gloves, food, balaclava, papers, pens, and more (not all at same time). 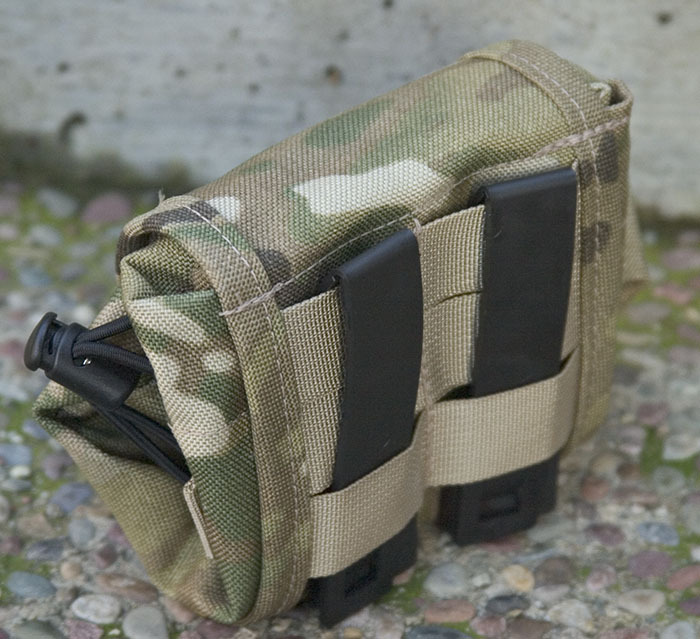 Also makes a sweet ride for a Nintendo DS and power cable. 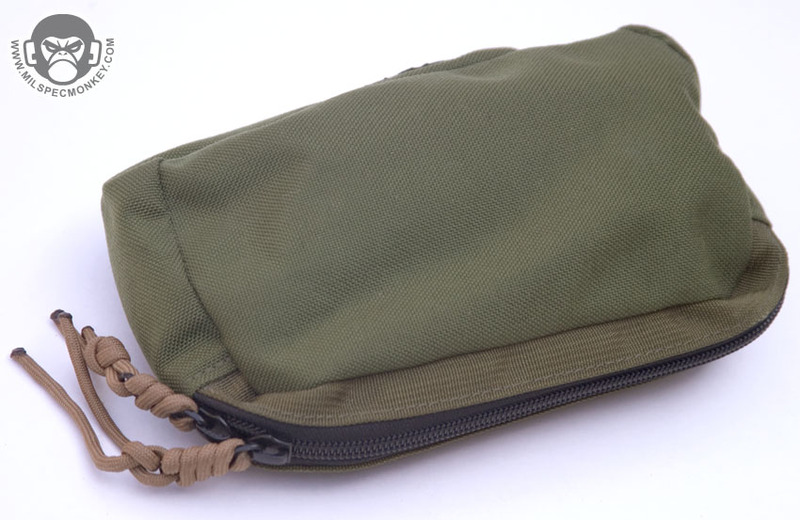 Notes: Simple, but well made fold up style pouch. 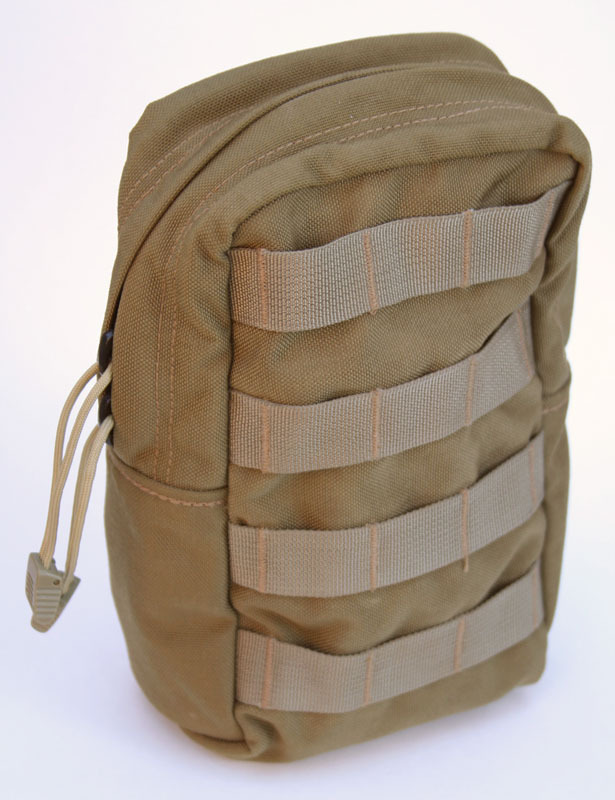 Back has a loop formed by the webbing pannel that can accomodate up to a 3.5" belt. 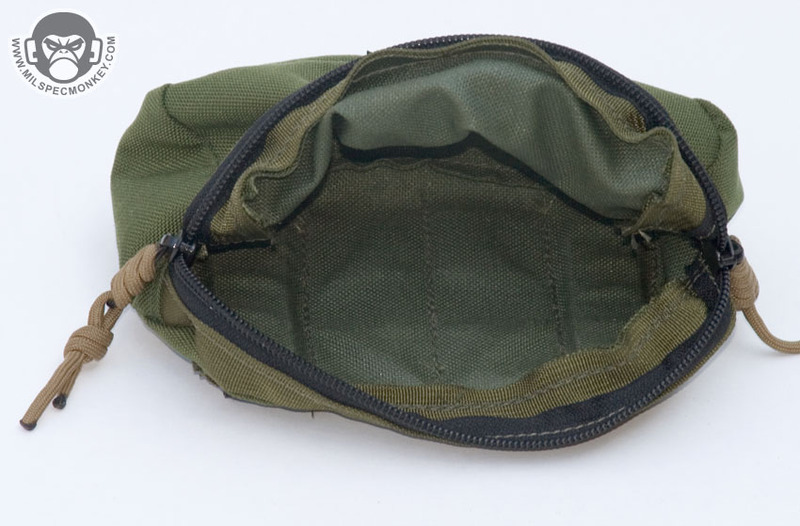 My example shows a bit of a half-assed fold up job, could be more condensed by folding in the sides. 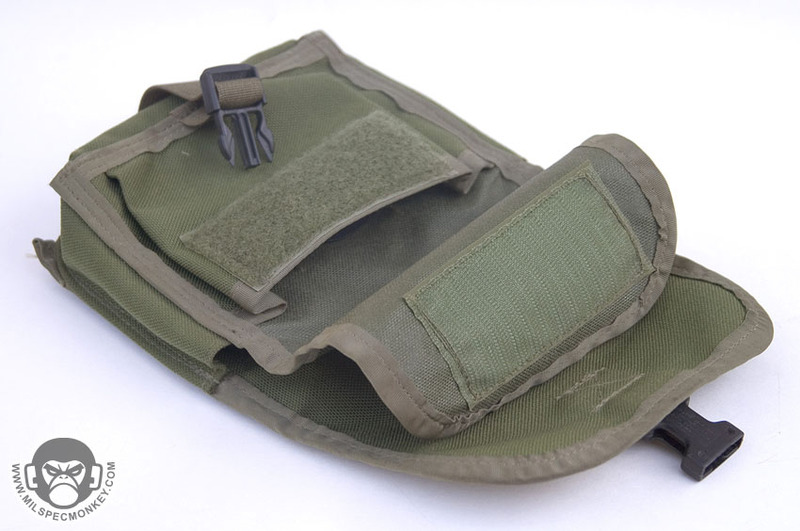 Comes with Malice Clips. 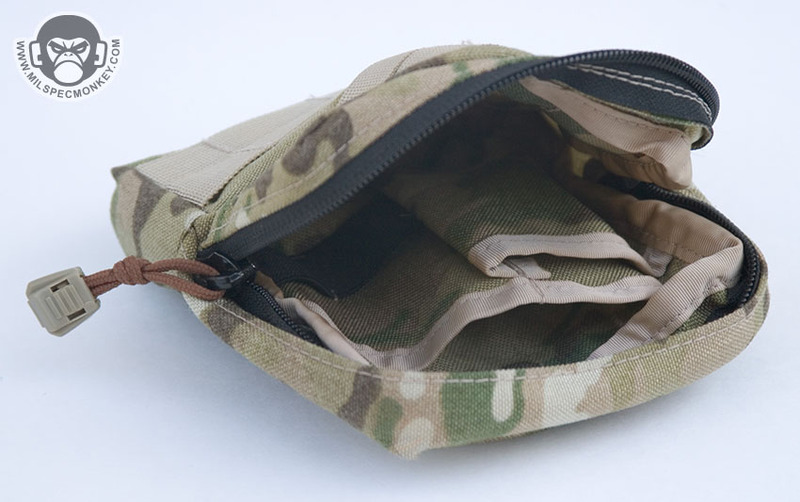 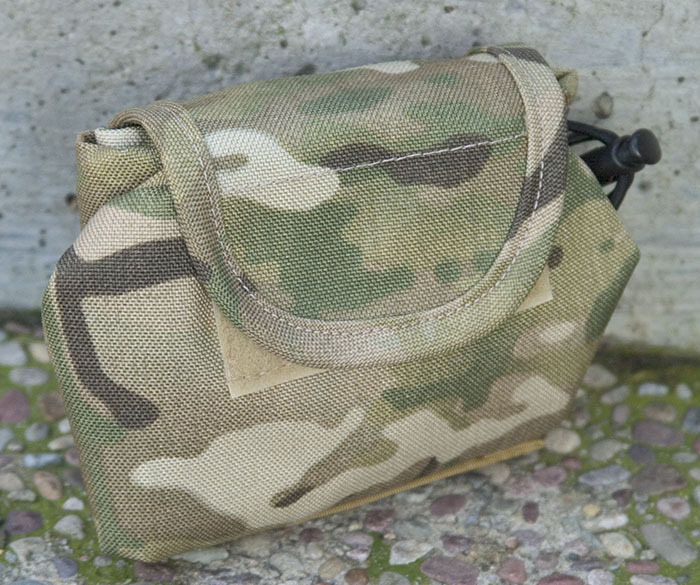 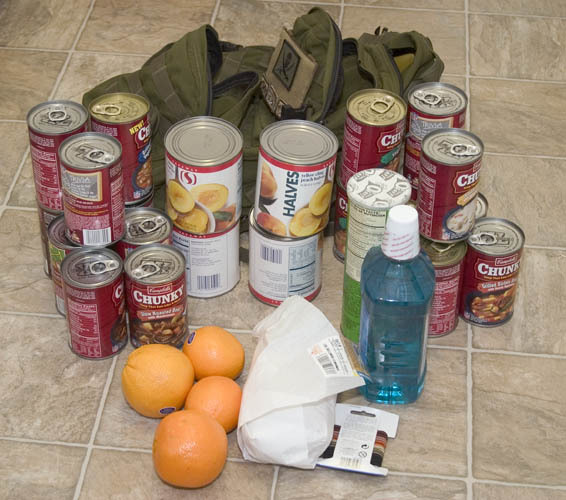 Notes: Unique medium pouch for a good batch of ADMIN gear such as GPS. 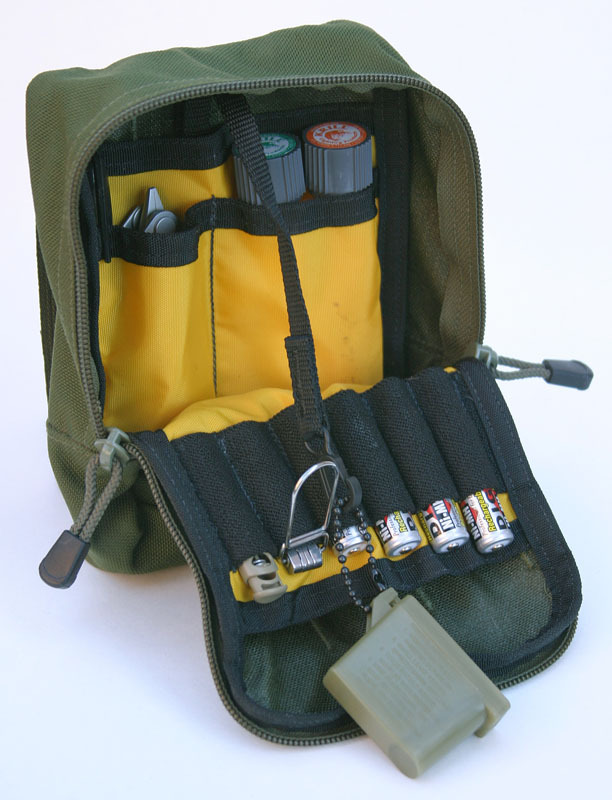 pens, batts, papers, lights, etc. 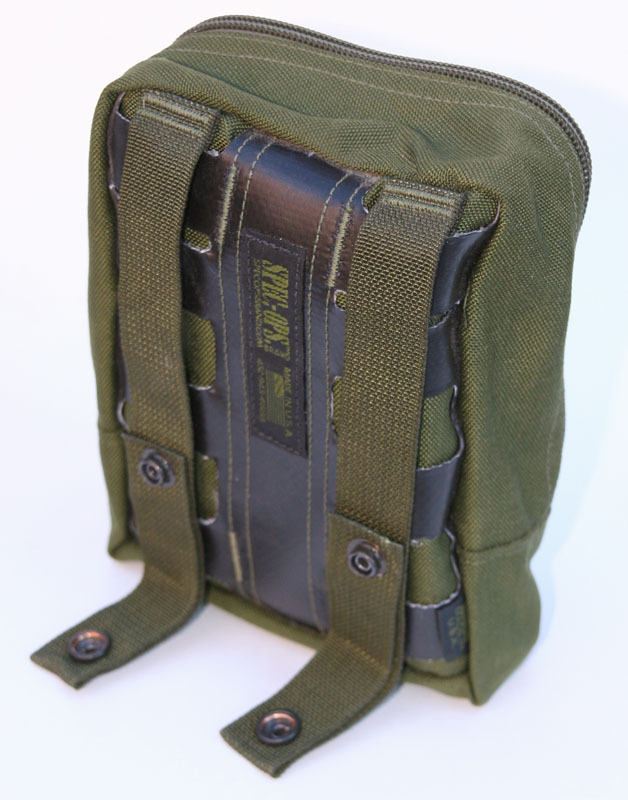 I dig the flap down ability and bonus lanyard clip. 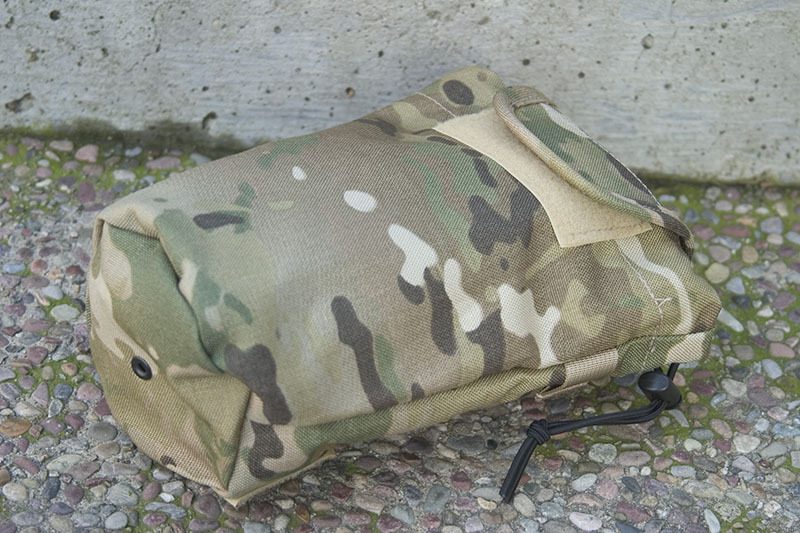 Back webbing is some sort of ballistic material to make easier PALS weaving. 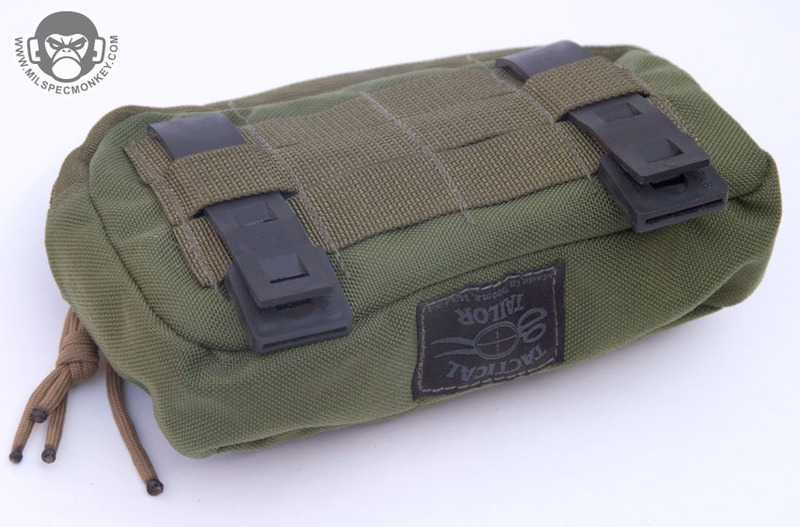 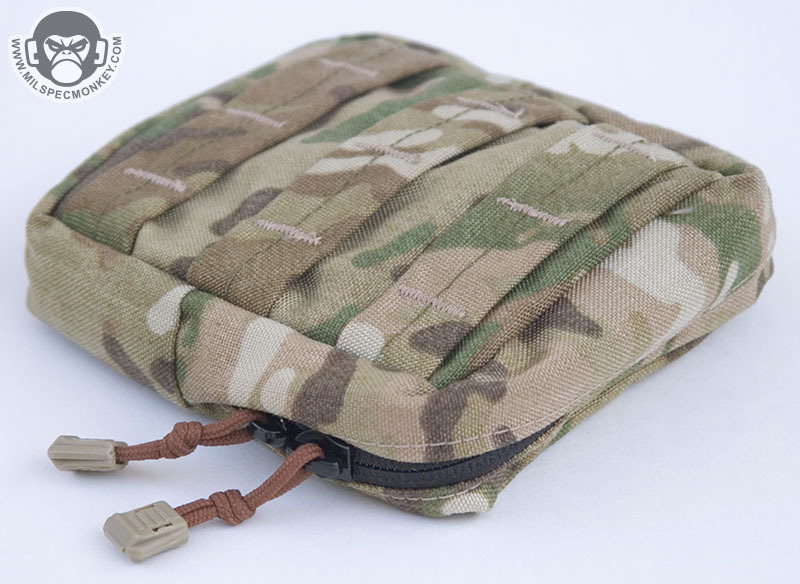 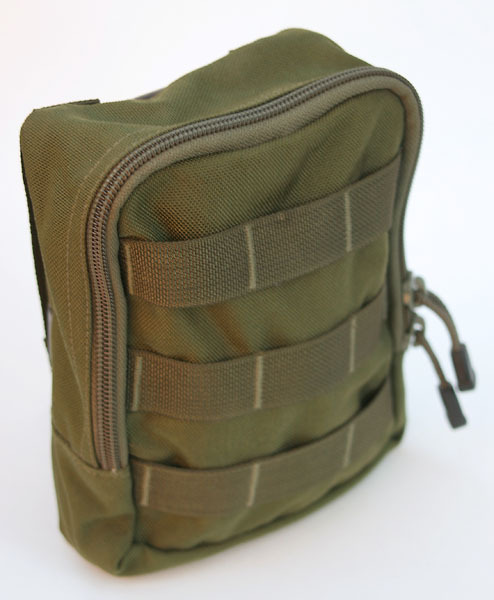 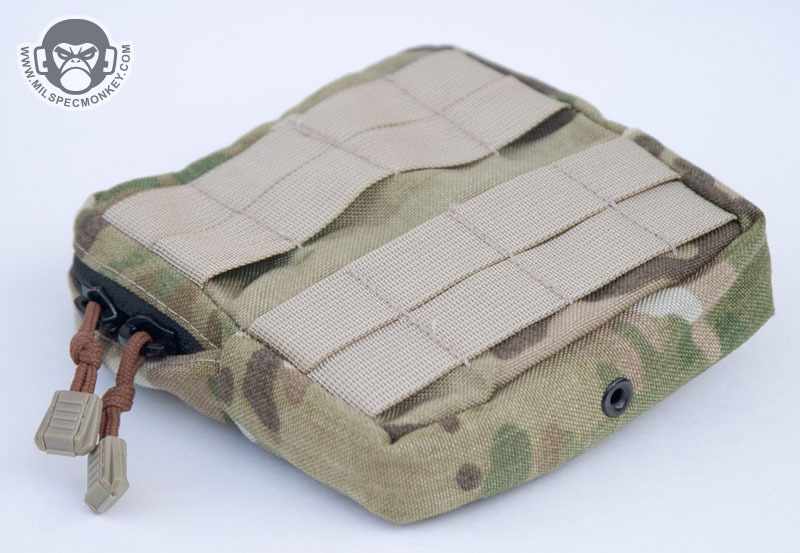 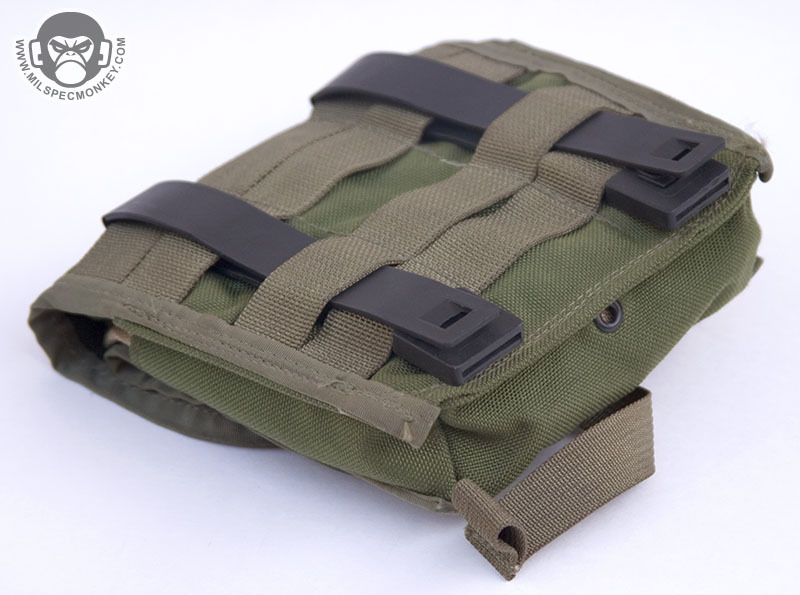 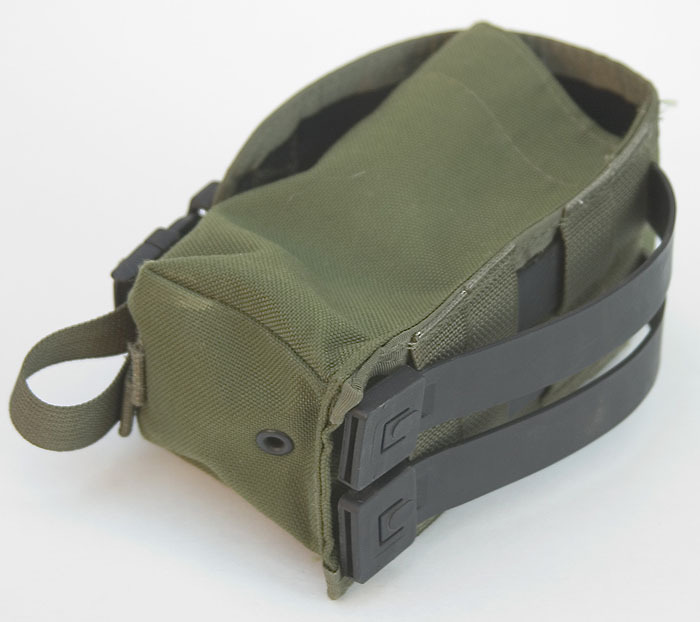 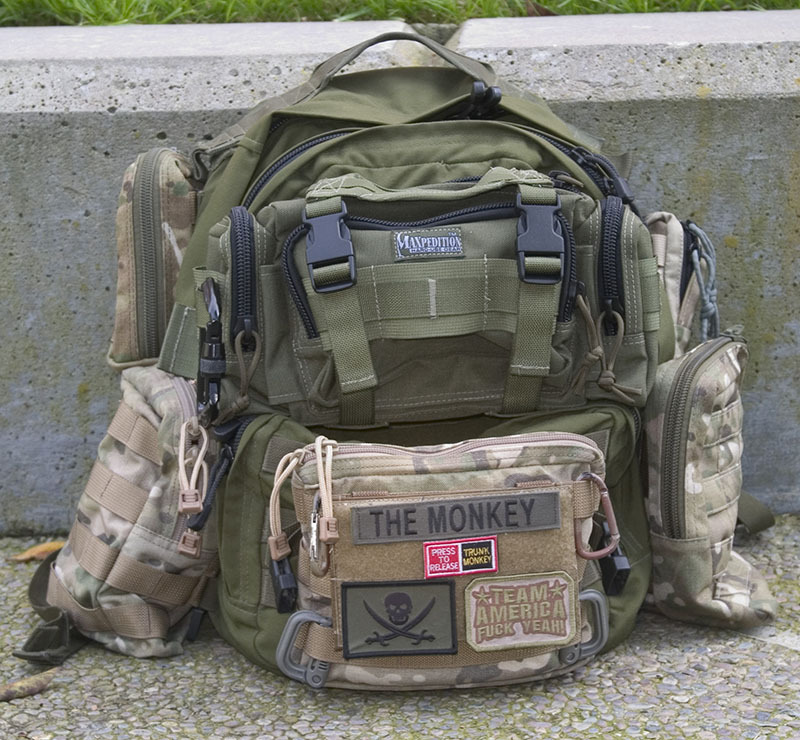 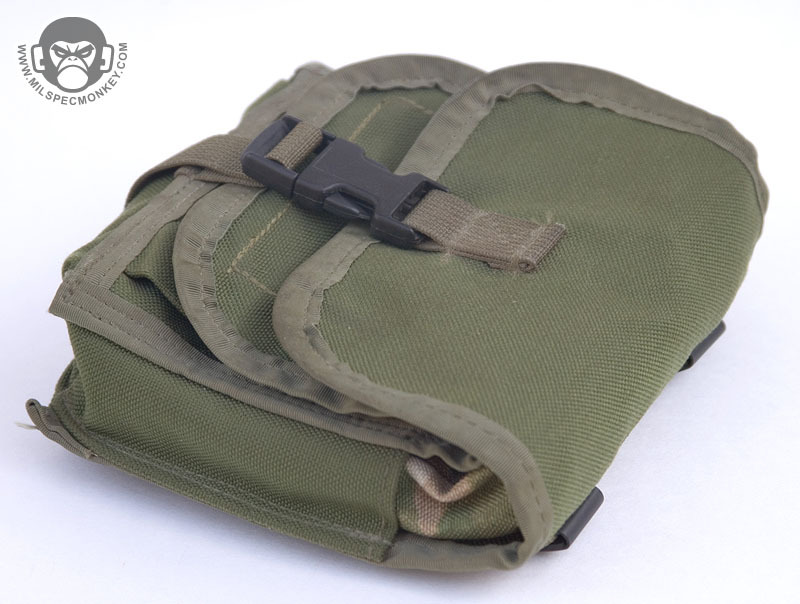 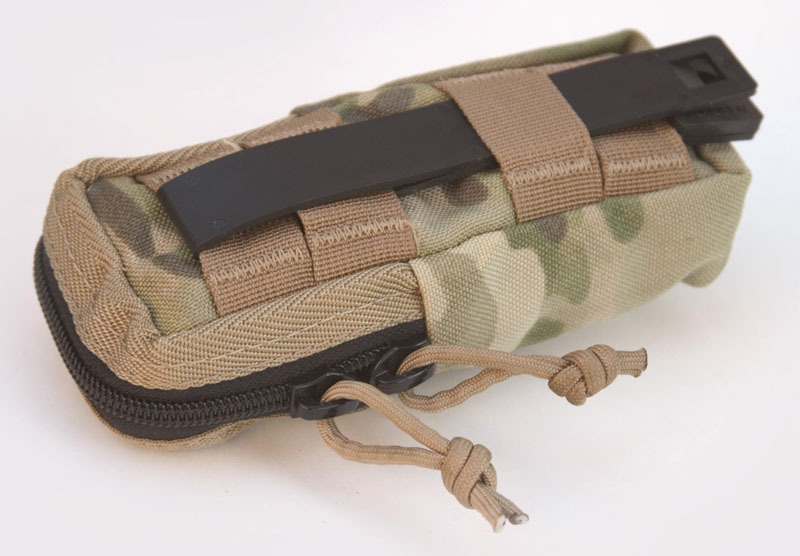 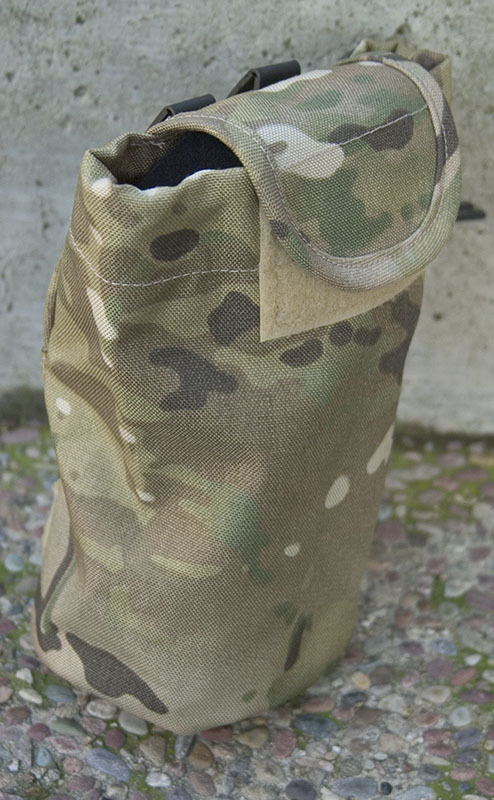 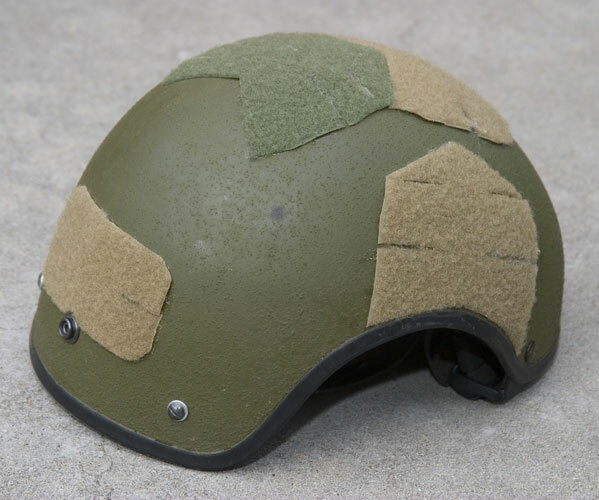 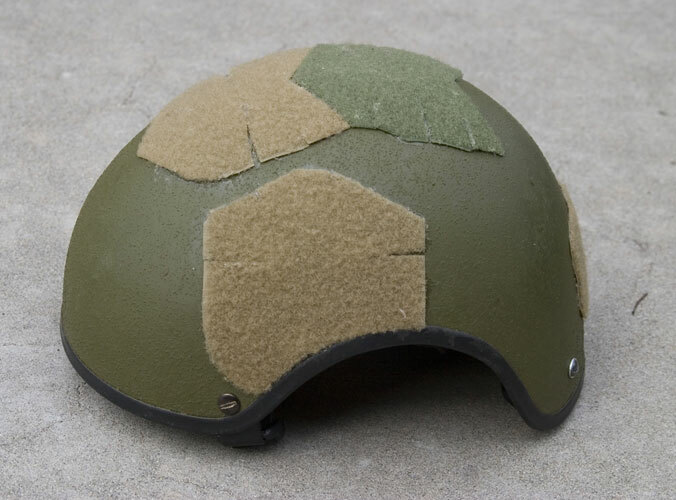 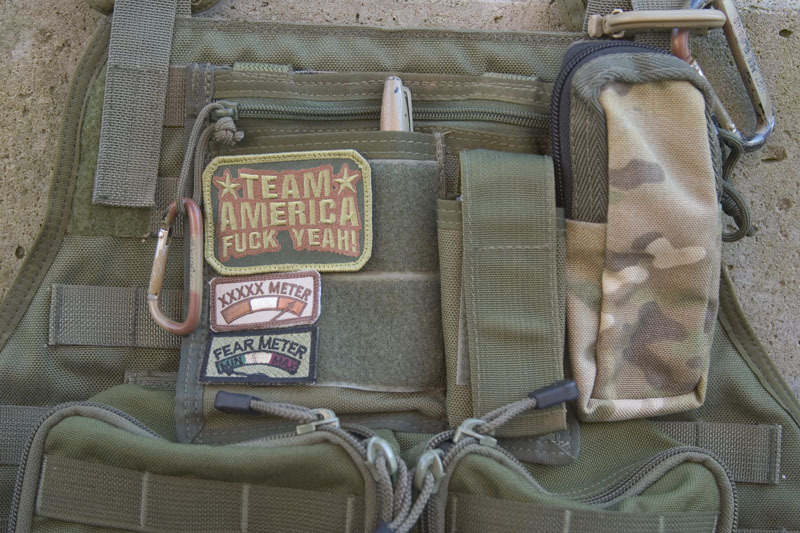 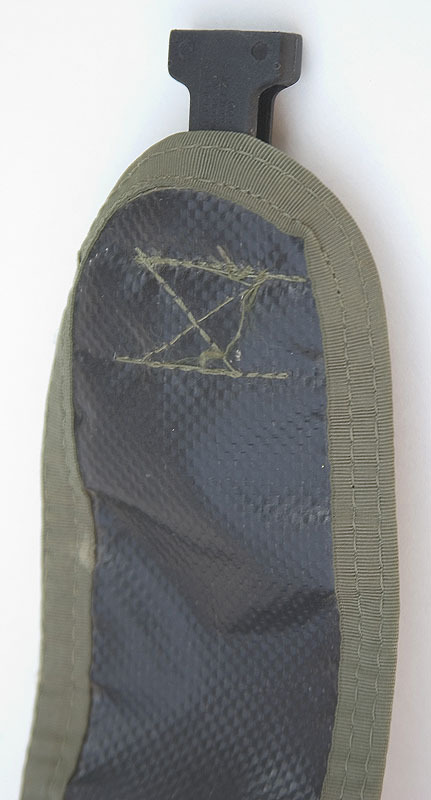 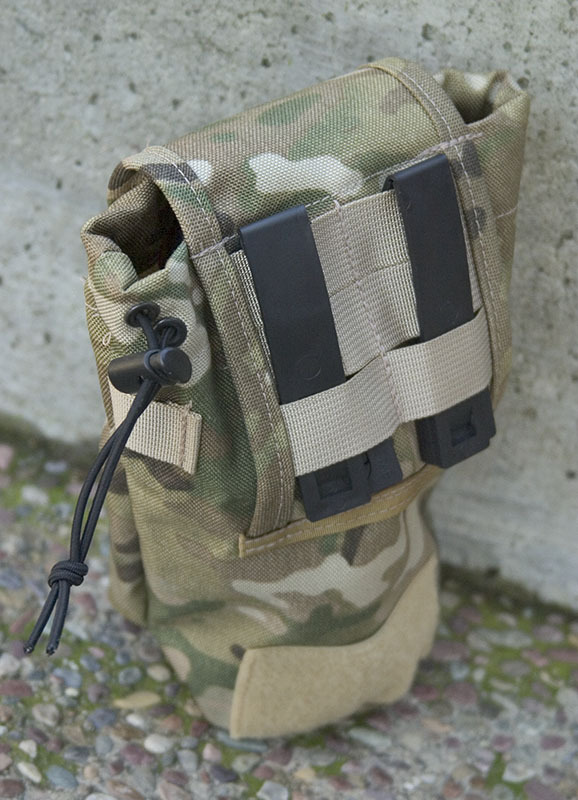 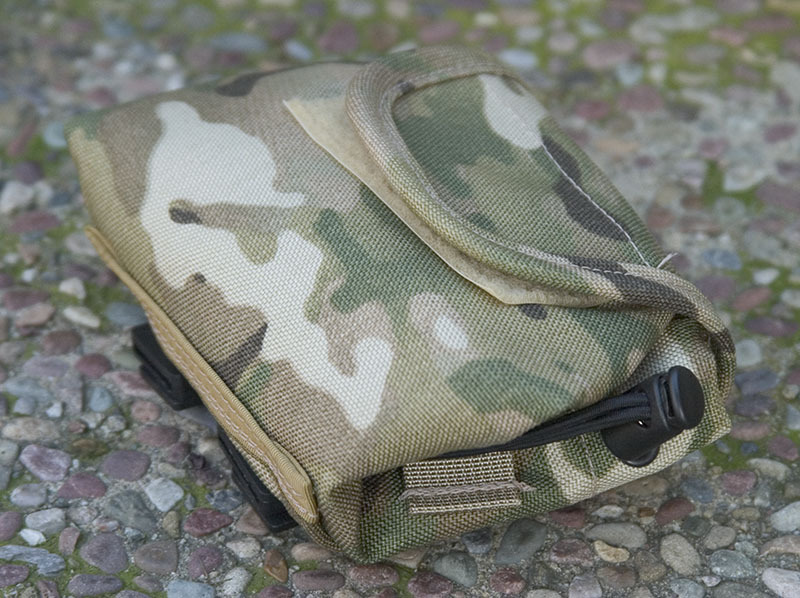 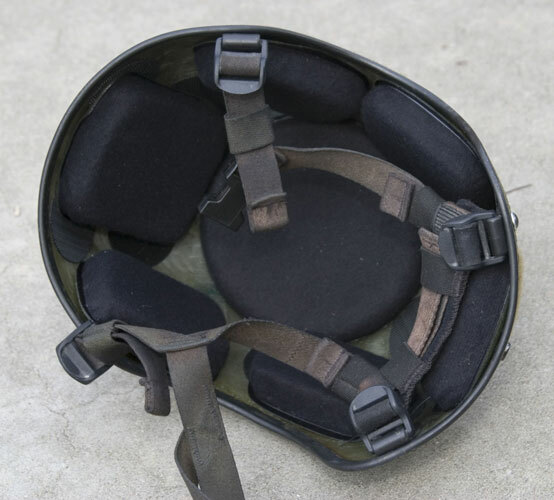 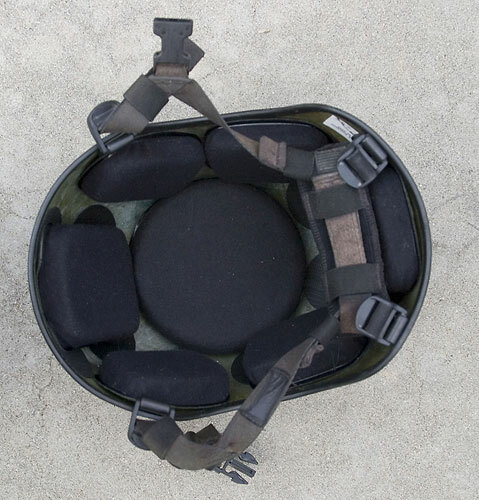 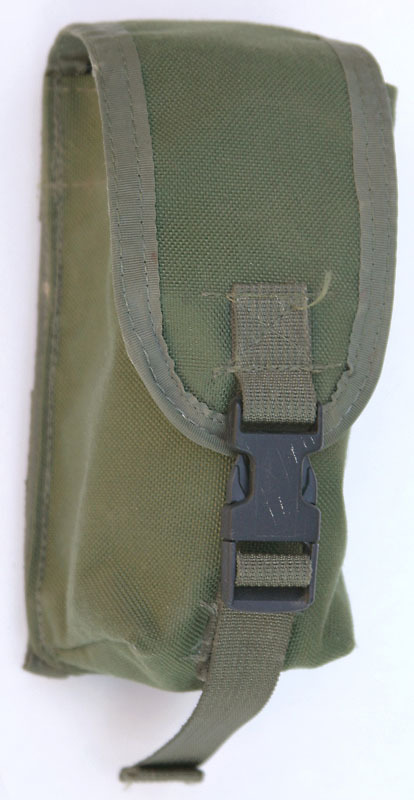 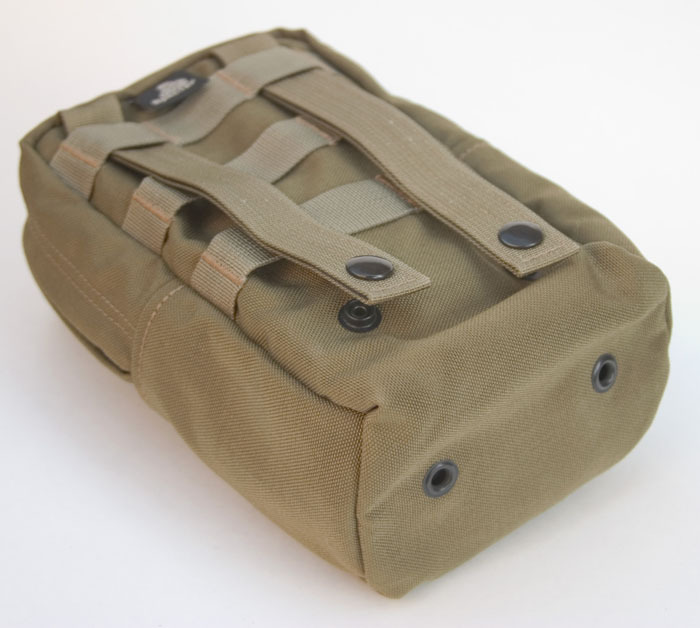 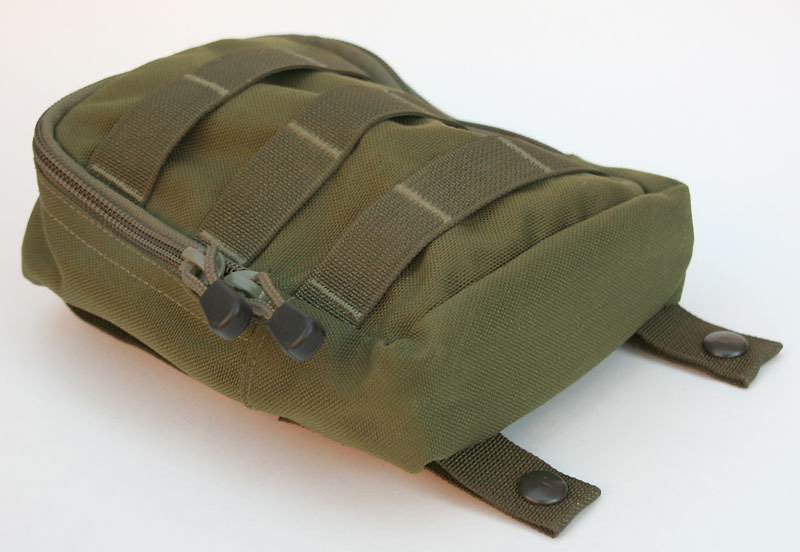 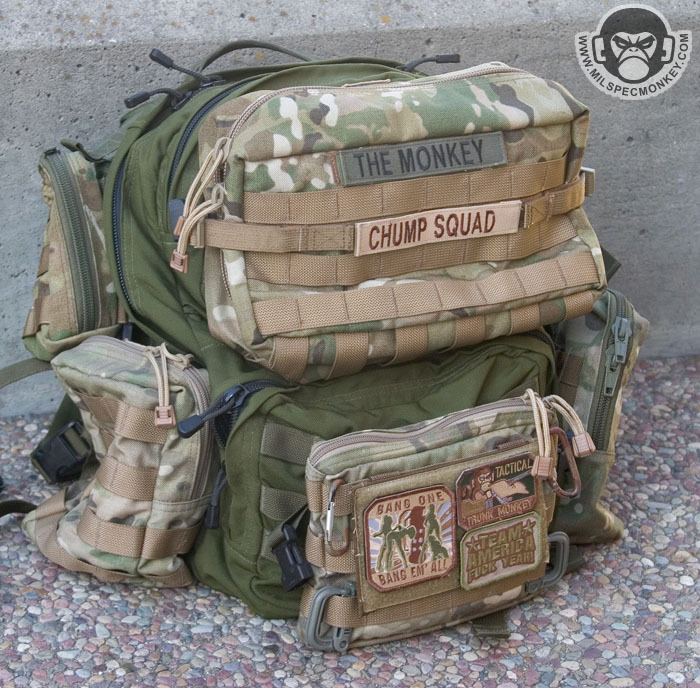 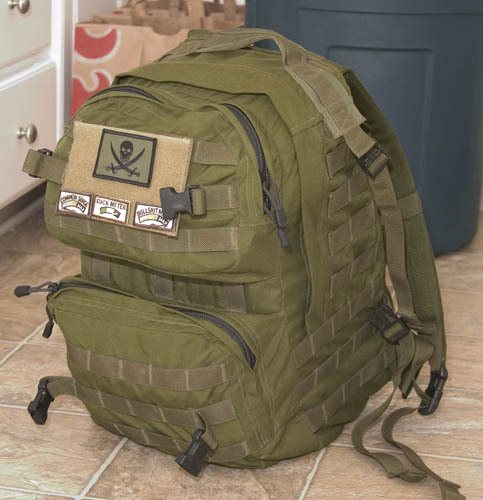 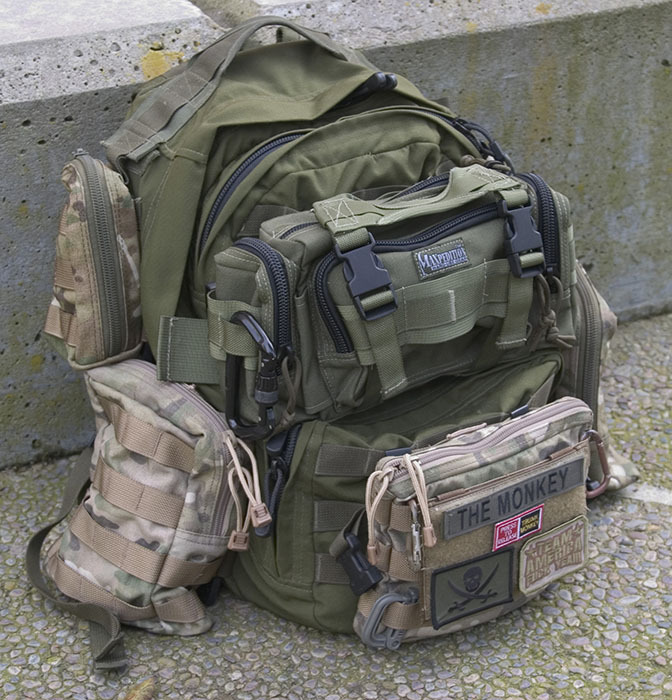 Uses classic MOLLE style snaps, but are positioned where they end up under the PALS of what you are mounting on; making them a lot harder to get on and off than I'd like. 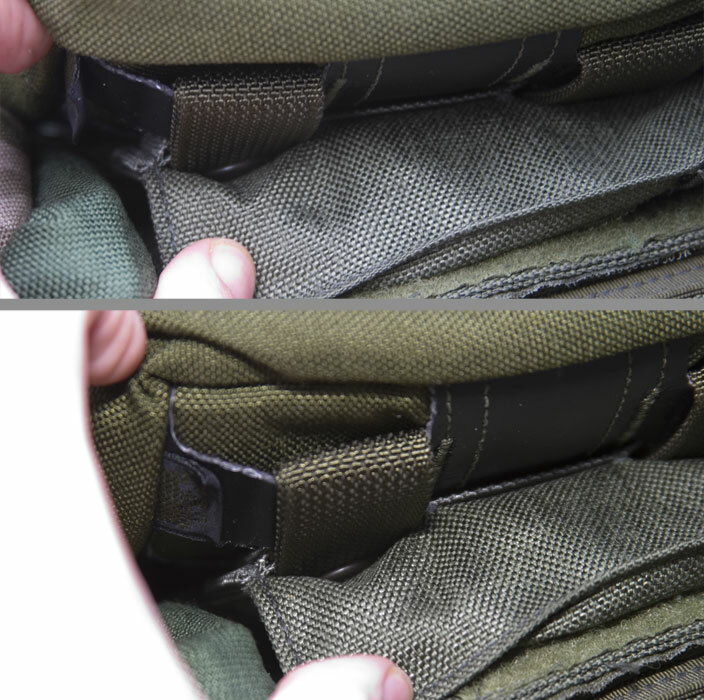 However, once on, they sure as hell aren't coming off on accident.